Marilyn Britton (Home Economics ‘73) was named the 2018 agriculturalist of the year by the San Luis Obispo County Farm Bureau. 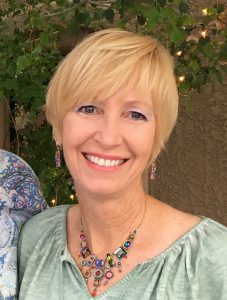 Wendy Moran (Nutritional Science ‘91) is staying busy as a mom of three teens while also serving as a caregiver for orphaned animals, specifically kittens and orphaned neonates. Fostering is a challenging, often heartbreaking, endeavor, but she finds it rewarding beyond belief. Ethny Stewart (Food Science ‘02) was named director for Cal Poly‘s TRIO Achievers Program. Formerly known as Student Support Services, TRIO Achievers provides assistance, including advising and tutoring, to first-generation and low-income students and students with disabilities. Erica Boomer (Agricultural Science ‘04; CR Agricultural Specialist ‘05) was named the 2018 Teacher of the Year in Lake County, California. Boomer teaches agriculture and advises the Future Farmers of America organization at Upper Lake High School. 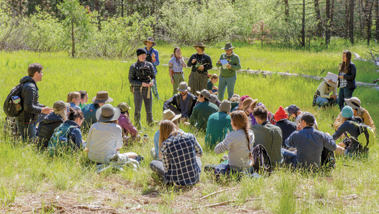 She founded the school‘s program as a result of her Cal Poly senior project. 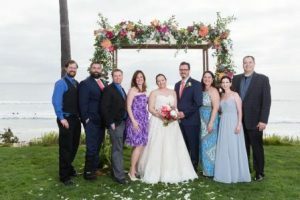 Stephanie Hall (Agricultural Science ‘06) married James John Krakowski (Computer Engineering ‘09) on June 24, 2018, in La Jolla, California. Ed Hibbs (Landscape Architecture ‘76) retired in December 2016 as a licensed landscape architect for the California Department of Transportation. In 2017, he snow-skied in five states and fulfilled a lifelong dream of touring all 10 Canadian provinces and 24 U.S. states with his wife via a diesel pusher motorhome. He says retirement is awesome! Richard Schwarz (Architecture ‘81) retired from the Merced County Public Works Department in February, exactly 26 years after his first day. 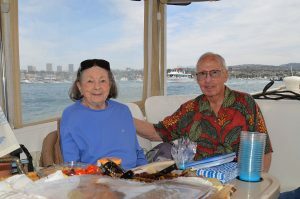 Richard and his wife of 39 years, Diane, are moving from Merced back to San Luis Obispo County, where they began their married life while at Cal Poly. Their three kids live and work in the Bay Area. “Weird” Al Yankovic (Architecture ’80), arguably Cal Poly’s most famous alumnus, received a star on the Hollywood Walk of Fame at a ceremony in front of Grauman’s Chinese Theatre in September. 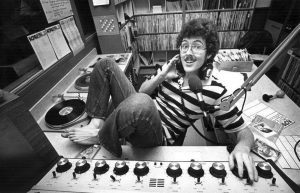 He launched his career as a musical parodist in the DJ booth at KCPR in 1978. Michelle Paloutzian (Landscape Architecture ‘96) married Brian Maggi on October 7, 2017, in Merced, California. 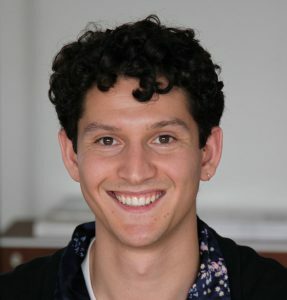 Alexi Kouromenos (Architectural Engineering ‘16; M.S., Architecture ‘17), a structural designer in the Bay Area architecture and engineering firm Ware Associates, presented his findings on the “Lateral Strength and Ductile Behavior of a Mortise-Tenon Connected Timber Frame” at the 2018 World Conference on Timber Engineering in Seoul, South Korea in August. Alexia Beghi (Architecture ‘11), Ben Meade (Architecture ‘11) and Anthony Stahl (Architecture ‘11) won a design competition to re-imagine Park Avenue‘s medians in New York City. The alumni, co-founders of the studio MAISON, were selected out of 150 ambitious entries for designs that integrated a concert venue, basketball court and art gallery on raised platforms above the street. Woody Lane (Mechanical Engineering ‘55) is now fully retired. His career assignments included full-time and consulting work in the aerospace industry focused on flight controls. 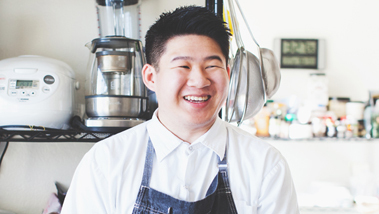 He stays active now participating in his community‘s emergency preparedness programs and exercising an interest in photography. Russell M. Cummings (Aerospace Engineering ‘77; M.S. 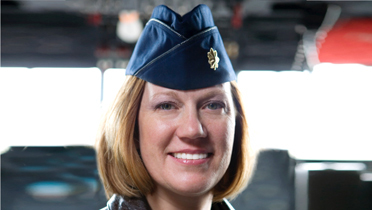 Engineering ‘85, Music ‘99) has been named the director of the Hypersonic Vehicle Simulation Institute at the U.S. Air Force Academy. The institute will improve the simulation of hypersonic vehicles using high- and low-fidelity approaches by funding applied research for aerothermodynamics and other vehicle-related science and technology. 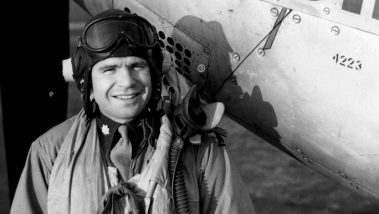 Cummings continues his position as professor of aeronautics at the academy while serving as the institute director. Suzan Latsch (Social Sciences ‘84) is enjoying her position with 3M Health Information Systems as the business transformation director. She lives in Lake Havasu City, Arizona, and Georgetown, California. 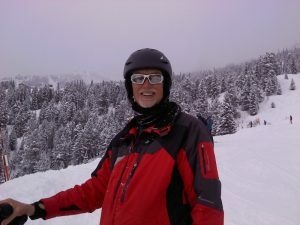 Robert C. Tapella (Graphic Communication ‘91) was nominated for the director position at the U.S. Government Publishing Office. He currently serves as professional oversight staff of the Committee on House Administration of the United States Congress. Tapella previously served as the 25th Public Printer under President Bush and continued his service under President Obama. 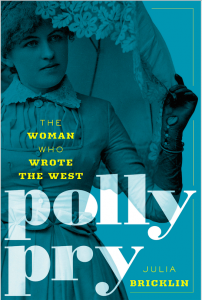 Julia Greenberg Bricklin (Journalism ‘94) published her second book, “Polly Pry: The Woman Who Wrote the West” in September via Two Dot Press. 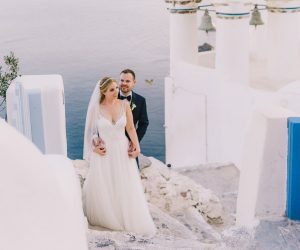 Matthew Ceppi (Political Science ‘98) and Megan Curran Ceppi were married in Santorini, Greece, on May 28. Matt is a principal at CliftonLarsonAllen LLP. They live in Carlsbad, California. 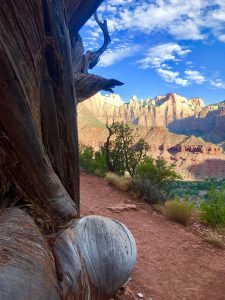 Zoe Kouromenos (Graphic Communication ‘15) recently took a vacation to Zion National Park in Utah with her family. Don Morris (Physical Education ‘53; M.A. 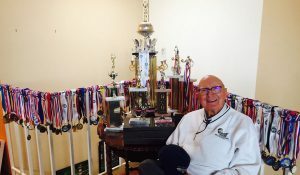 Education ‘58), a Cal Poly professor emeritus and retired Navy commander, won three gold medals in basketball events at the 2018 Pasadena Senior Games. He won the “hot shot” shooting, three-point shooting and free-throw shooting competitions. Sally Fox (Biological Sciences ‘79) is the owner of Vreseis Limited. Her 160-acre Viriditas Farm, a 160-acre farm that breeds and grows organic, naturally colored cottons and wools as well as heirloom wheat in the Capay Valley of Northern California. Jon-Paul Ewing (Ecology and Systematic Biology ‘04; CR Life Sciences ‘05), a science teacher and department head at Paso Robles High School, was named the 2018 District Teacher of the Year. He was also named the San Luis Obispo County Teacher of the Year. The Central Coast native is also an alumnus of Paso Robles High School. Zach Wims (Kinesiology ‘17) spent 113 days hiking the Pacific Crest Trail this summer. Wims set out on May 2, hiking an average of 26.5 miles per day and camping at night, before finishing his journey Aug. 22. Manvir Sandhu (Business Administration ‘96) is the founder and president of Zennify, a cloud computing solutions startup. The venture recently reached the 50-employee mark and opened a Sacramento office. 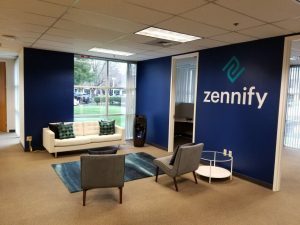 Zennify is one of the nation‘s fastest-growing tech firms. The Marchetti siblings, including Paul (Industrial Technology ‘12), Sarah (Agricultural Business ‘15) and Kevin (Industrial Technology ‘18) were featured in Packaging Digest for their various careers in the industry. Paul is a packaging engineer at Amazon Lab126, Sarah works in design and sales for Packaging Corp. of America, and Kevin is a packaging engineer with L&E International Ltd. in Thailand. Alfred W. Amaral Jr. (Agricultural Business ‘65), an alumnus, former faculty member, and longtime advocate for Cal Poly, passed away Aug. 21, 2018, at the age of 78. In 1967 he returned to the university to teach agriculture management. In 1971 he was tapped to serve as the executive director of the Cal Poly Corporation. He received the university’s Outstanding Staff Award in 1986, retiring in 2000 after 33 years. 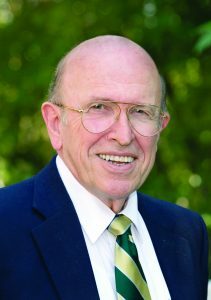 Amaral served in various leadership roles with the Cal Poly Alumni Association. He and his wife, Rose, established the Al and Rose Amaral Ag Enterprise Endowment to benefit Cal Poly students. 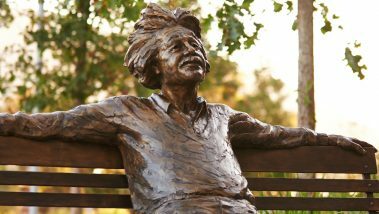 In 1989, he was selected as the College of Agriculture, Food and Environmental Science’s honored alumnus. Amaral leaves behind Rose; his children, Rosemarie and Fred; his brother Robert; aunts, uncles, nieces and nephews; and a grateful Cal Poly community that has benefited from his decades of service. What’s changed about campus since you graduated? What was your favorite class?